We do the exercises in a shady olivegrove with a fantastic view over the sea and spend the afternoons on special selected locations around on the island. If you dream of a holiday where you do something together with others while training your body and also stimulating your senses then maybe this course is something for you. You will also get familiar with the island in a different way than a normal tourist because every day we visit new places on foot, swim, eat and have a good time. We start every day with 2 hours workout to music that in turns stimulates our energy centers and creates a good connection between our body and mind. We finish off with a relaxation session. There are different activities in the afternoon according to which chakra and sense is the subject of the day. We can hardly avoid stimulating all senses every day :-) but we will try to focus on one. We walk, we swim and eat and are having a good time. We make different visualisation exercises and use our senses. You just enjoy the company and the activities while your senses get stimulated. I call my program Yoga-Pilates Special so you have an idea about what kind of workout it is but the real name is BME gym. BME gym is the short version of Body Mind Empowerment gymnastics. I created this program by composing many different workout traditions such as mobility training, stretching, yoga and Pilates. The aim is to empower the connection between the body and the mind and to balance our energy. 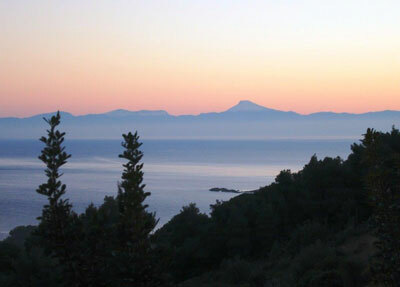 Wake-up your senses in Alonnisos’ extraordinary surroundings. Alonnisos naturally does that. The colours are vibrant because of the strong Mediterranean light, the island is full of scented herbs, bushes and trees such as thyme, sage, mastic and pines, the sun burns on your body, the sea cools it down and the Greek gastronomy has a lot to offer in terms of flavors. All this and much more stimulate our senses. 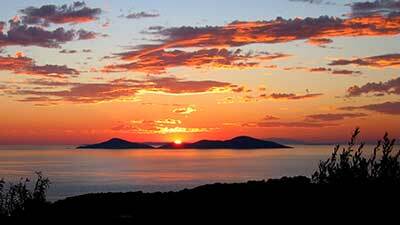 If you prefer to arrange the trip yourself you have to look for flights to the island of Skiathos. 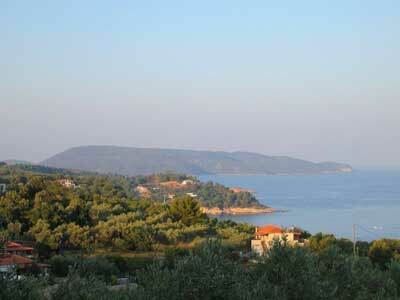 From Skiathos it takes 1½-3 hours to Alonissos with a hydrofoil or ferry.